One Of These Things Is Not Like the Others..."
All of these foods are common at carnivals and food festivals. They're often shared at backyard barbecues or picnics. They're fun to eat (but not particularly healthy). But only three of them were "made in America". 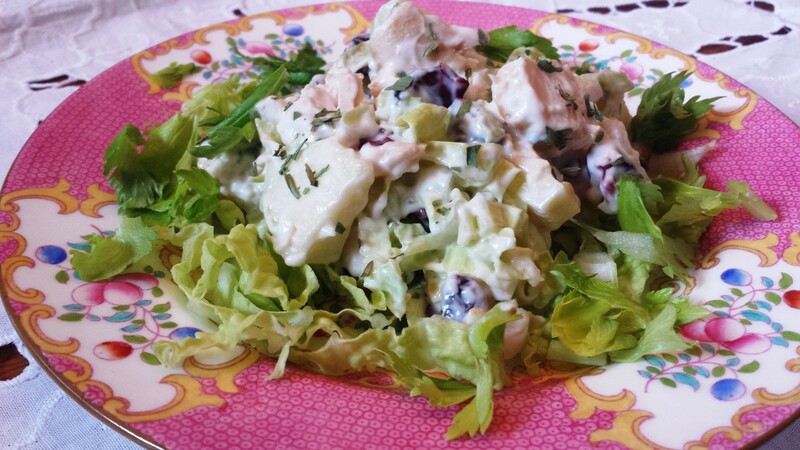 Believe it or not, the first cabbage slaw was crafted not in a Pennsylvania Dutch kitchen, but in Roman sculleries. Marcus Gavius Apicius was an epicure and lover of luxury who lived in 1st century Rome. And he was quite possibly the first celebrity chef. So popular were his culinary accomplishments that 300 years later they were compiled in “The Art of Cooking”, one of the earliest cookbooks in recorded history. The book is often attributed to him and even (incorrectly) assigned his name, Apicius. Within the tome is the suggestion that cabbage or cardoons be eaten with a ‘briny broth, oil, and chopped hard eggs.’ Thank goodness that 1,400 years later (give or take a year or so) the cooked eggs and oil were replaced with mayonnaise. "What is the origin of the name cole slaw?" I'm glad you asked. Let's take a little trip down the etymological trail, shall we? Remember our Roman celebrity chef Apicius? Well, caulis is Latin for “stem” (which is how the Romans classified those plants that we now know as the cabbage family.) From caulis came cole (yet another word that is no longer in our lexicon). 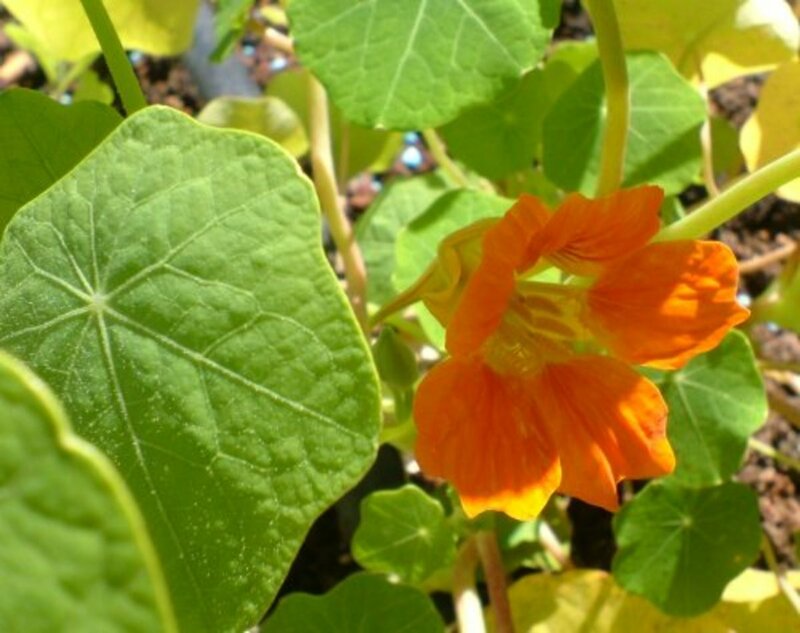 In the German language cole became kohl (as in kohlrabi), which then spun into kool (cabbage). 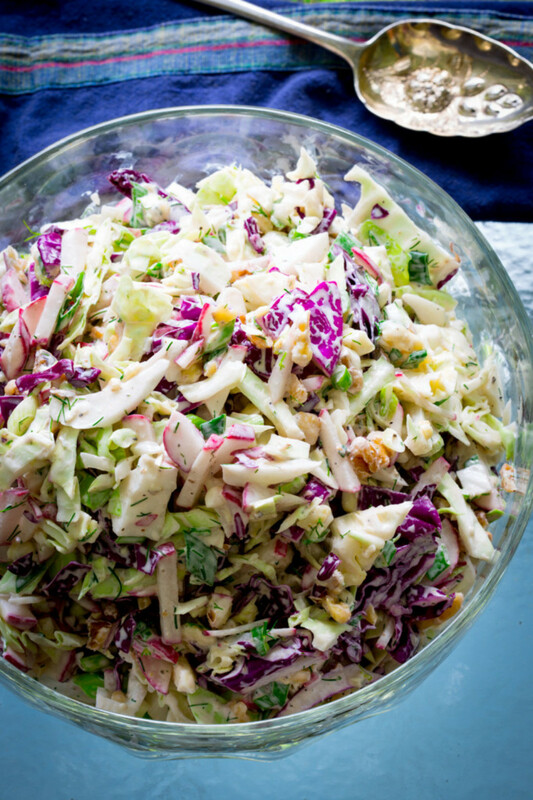 Marry that with slaw (the German word for salad) and you have koolslaw. Anglicized, it became coleslaw. It’s always a tough decision between that, the Mac and Cheese, and the mashed potatoes, isn’t it? Cabbage is one of the oldest cultivated vegetables. The heaviest cabbage recorded to date weighed 62.71 kg (138.25 lb) and was presented at the Alaska State Fair by Scott A. Robb (USA) in Palmer, Alaska, USA, on 31 August 2012. 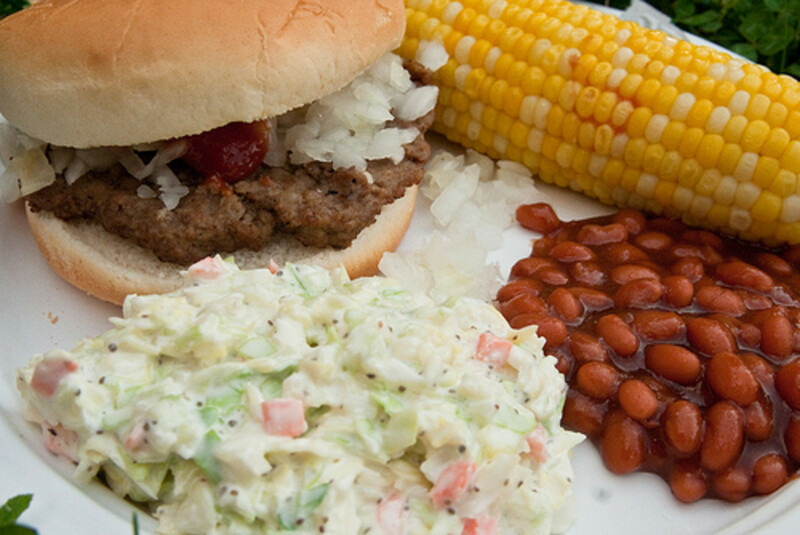 This is the dish that comes to mind when we hear the word 'coleslaw'. Mayonnaise makes it creamy, vinegar and sugar add just the right amount of sour and sweet, and with a pre-shredded bag of cabbage and crunchy carrots you can have this ready for your family in just minutes. This lightened version of slaw adds lemon juice, dried oregano (please don't use fresh), and crumbled feta cheese for a bright, tangy salad. 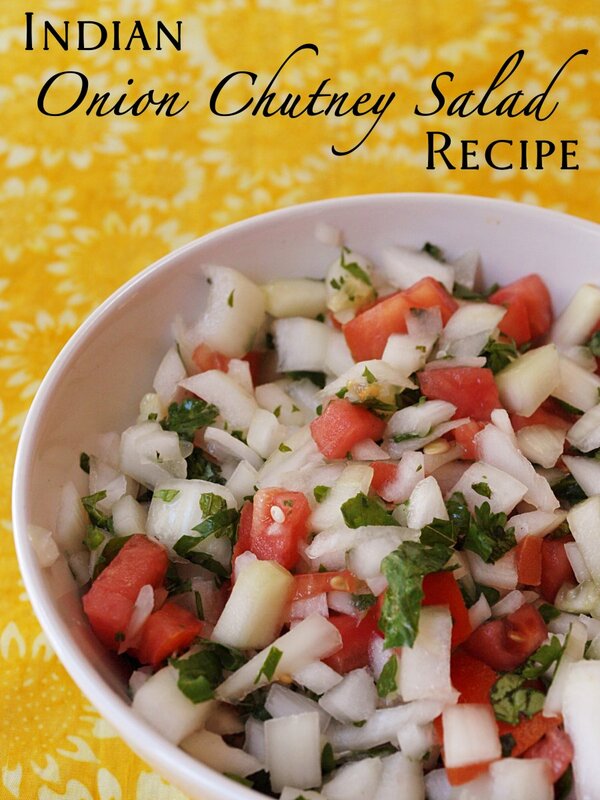 What first attracted me to this recipe was the beautiful photograph. What enticed me to make it was the list of ingredients. The addition of blue cheese and walnuts to an already lovely salad is genius. Katie (HealthySeasonalRecipes) suggests adding fresh peas when they are in season. In just a few weeks I think peas will be showing up at the Farmers Markets. 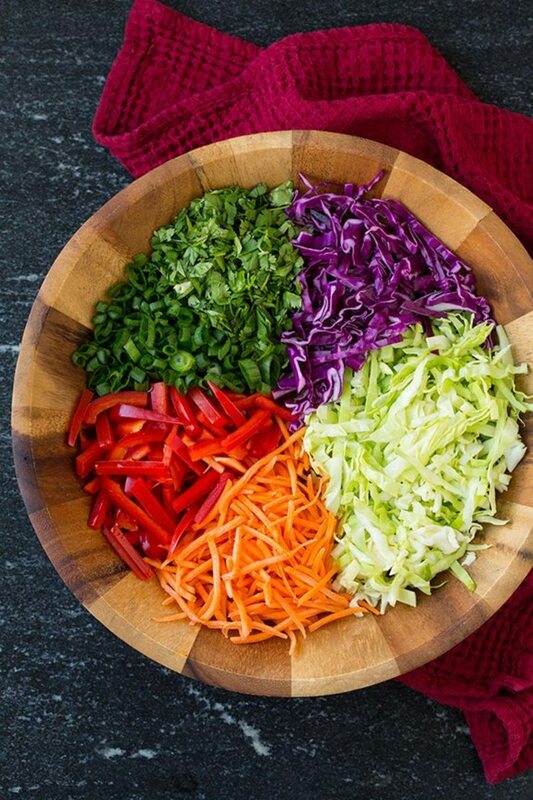 Keep this slaw in mind when you go shopping at your favorite market. I can envision this with fresh radishes, peas, dill weed, crisp baby cucumbers . . . and the list goes on and on. 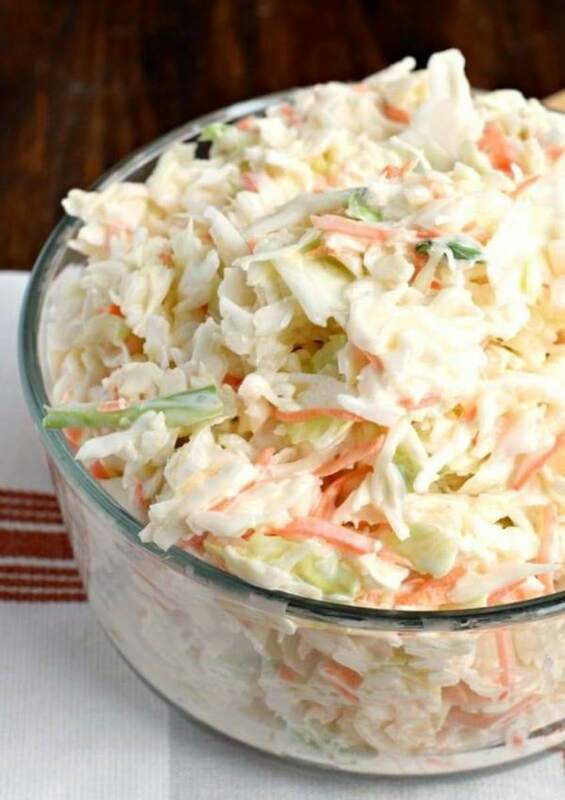 This is my take on assembling a coleslaw. Make your own mayonnaise (yes, you can), add diced cooked chicken, and you have a wonderful lunch or light dinner. 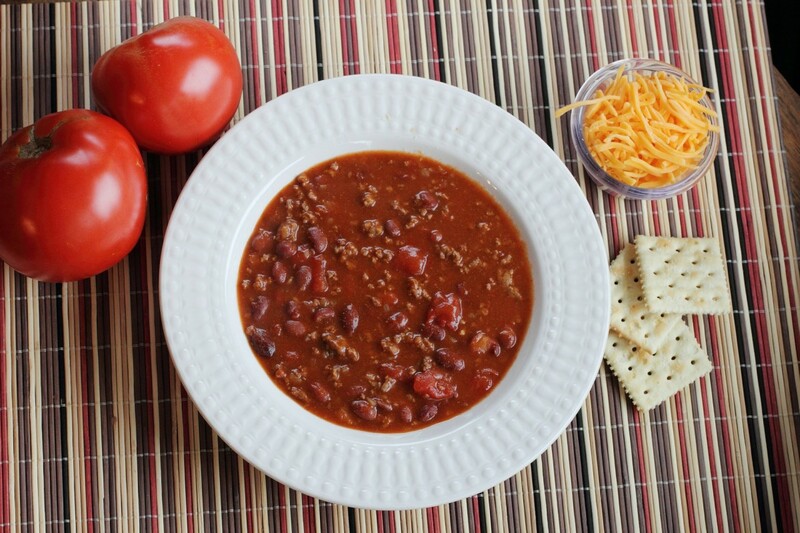 Combine all ingredients in a large mixing bowl. Cover and chill at least 30 minutes. Serve on chilled plates. Place the egg yolks, salt, and lemon juice in the bowl of a blender. Process until the egg yolk and juice are well-combined and the yolks begin to turn to a lighter shade of yellow. Remove the fill cap (central portion of the lid). Place the olive oil in a glass measuring cup with a lip suitable for pouring. With the blender running, begin adding the oil to the yolk/lemon juice mixture. Start with just one drop at a time and increase to a steady but very slow stream as the oil is absorbed. Stir in lemon zest. 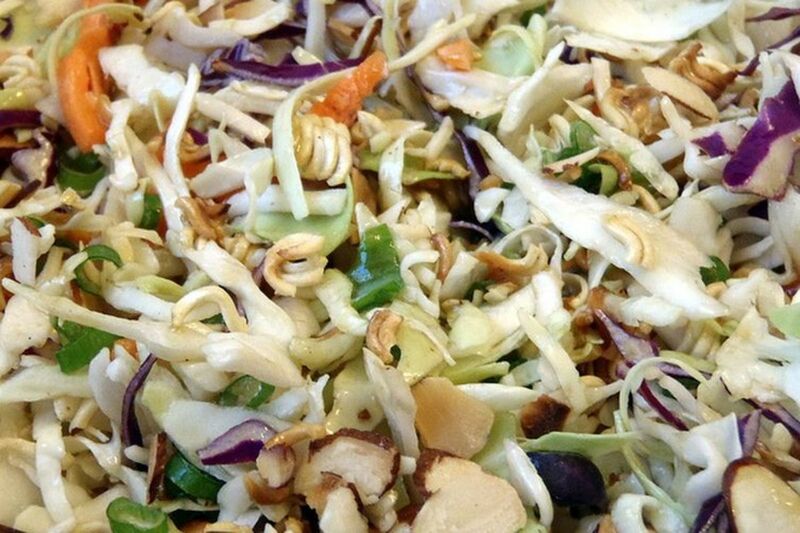 As Jaclyn, author of the blog CookingClassy says, this slaw is a Thai-flavored spin on the American classic. The appearance alone is enough to sell me. My younger daughter's Kindergarten teacher explained nutrition to her class by telling them they should try to "eat a rainbow" every day. Words of wisdom for sure. Look at the array of colors, and then consider the crunchy texture, the savory creamy peanut sauce, sweetness from honey and brown sugar, and a bit of sour from rice wine vinegar. And then, a pop of heat from sriracha, ginger, and garlic. 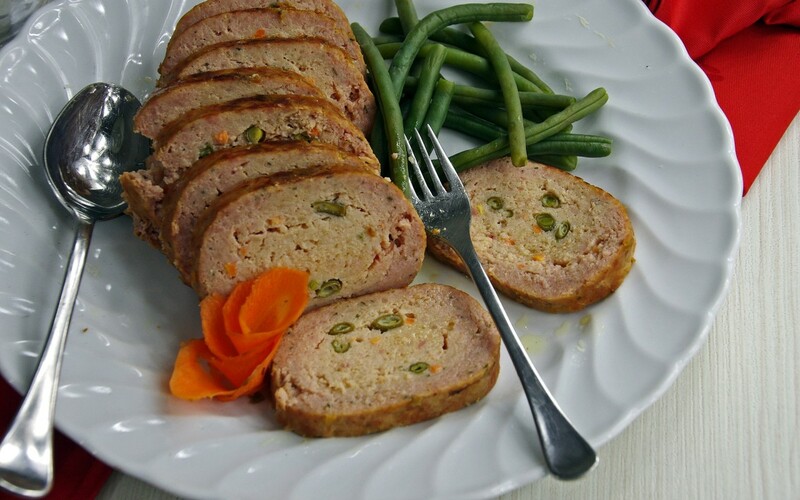 Don't let the long list of ingredients dissuade you from trying this dish. It is worth every moment. I was first introduced to this type of salad by one of my nieces. We have a VERY large family, so when we gather together you can always be assured that a potluck is involved. Leslie brought a wonderful bowl full of salad with colorful veggies and I could smell the aroma of soy sauce. I thought it was wonderful just "as is", but then she whipped out the secret ingredient—the one thing that could not be folded into the mix until the final moments—uncooked ramen noodles. I didn't get the recipe from her, but I'm pretty sure this is how it is put together. This is not your KFC or Chick-fil-A coleslaw. This is not your Pennsylvania Dutch grandma's coleslaw, and it definitely is not a boring side dish. Decatur MacPherson at CraftyHouse creates a slaw that totally hits the reset button. 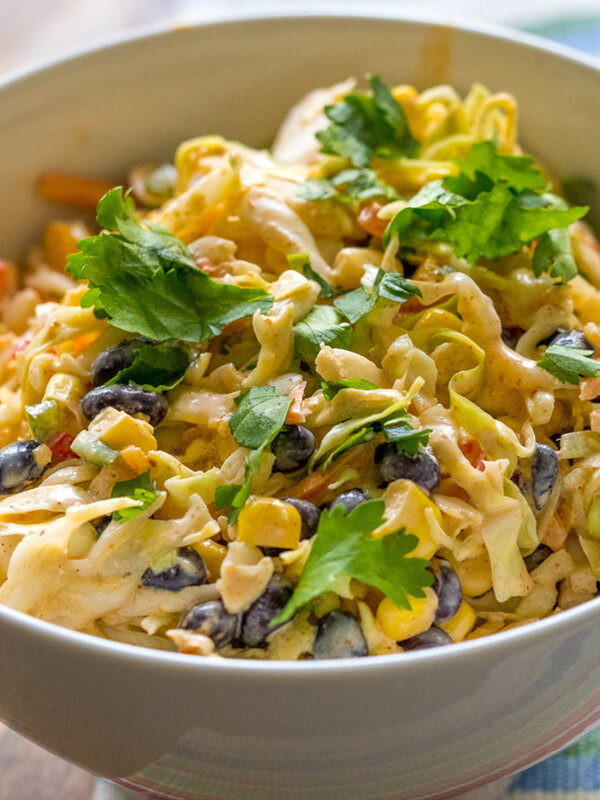 A simple bag of shredded cabbage and carrots is amped up with the flavors of a fiesta—corn, black beans, sour cream, lime juice and taco seasoning take this slaw to another (awesome) level. Which Slaw Will You Choose? Lawrence we went kinda crazy last night and made the Greek slaw and then put it on shrimp tacos. Gosh that was good! 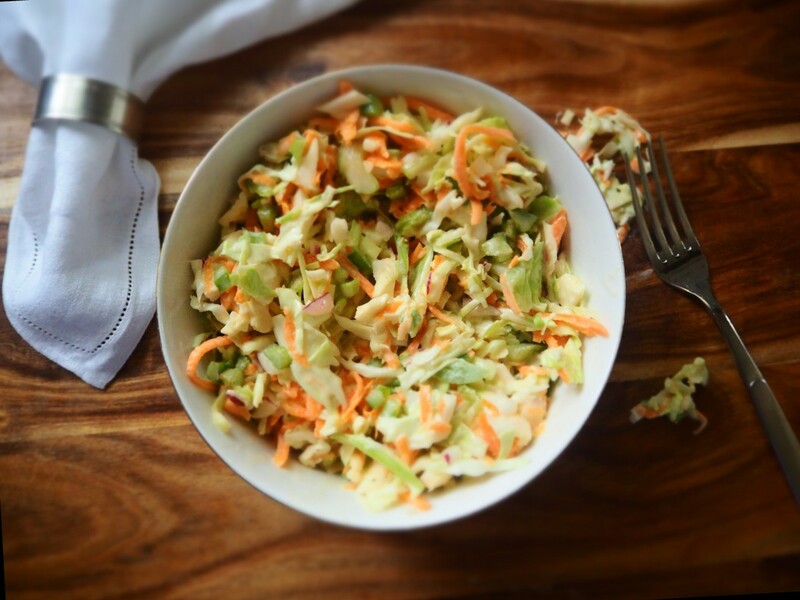 As you have discovered cole slaw is so versatile (and you don't need an oven to make it). I had to put the Thai with peanut sauce as its the only one I haven't tried! 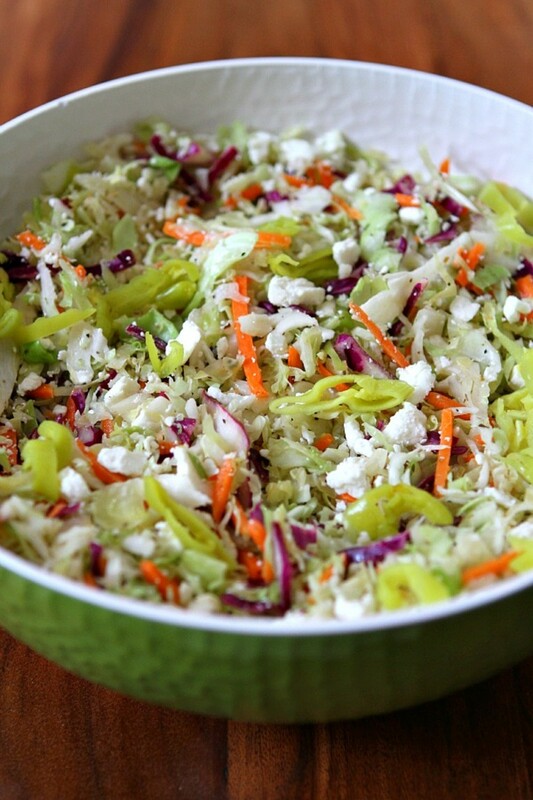 Coleslaw is one of my 'alltime' favourite foods, probably my favourite would be the Greek. Shauna, I've never cared much for bean sprouts, but microgreens are another story (especially the ones from radish seeds). Yum. I like the idea of the blue cheese and walnut slaw with all the added goodies you mention in the last paragraph. I love radishes. I think they'd be a delicious addition, as well as cucumber and dill weed. And, hey - how 'bout some bean sprouts? Manatita, you do not believe that I have all of this in my head (haha)? Yes, this does require research. I typically spend 4 to 6 hours on even the briefest of articles, and some require much more. I do it because I enjoy the process of learning right along with all of you. P.S. Have you not heard that it is not polite to ask a woman her age?? If you will recall, you and I are almost twins. I love the Greek style. It's awesome! Some of the things you say and show requires research. Don't you get tired? I mean, how old are you?37? Another great and intelligent Hub. God bless Marcus Gavius Apicius. Mary, like you I grew up knowing the mayonnaise-based cole slaw. But, it tends to get watery after a bit, whereas the ones with vinegar dressing seem to stay crisper. I'm sure that the vinegar slaw is the perfect foil to the juicy, fatty (in a good way) ribs. You're making me hungry. Yes, slaw used to be an effort, now thanks to our food processors it is one of the easiest dishes to make. Mary, I agree with you about red cabbage. We first eat with our eyes, and those bright rainbow colors are enticing. 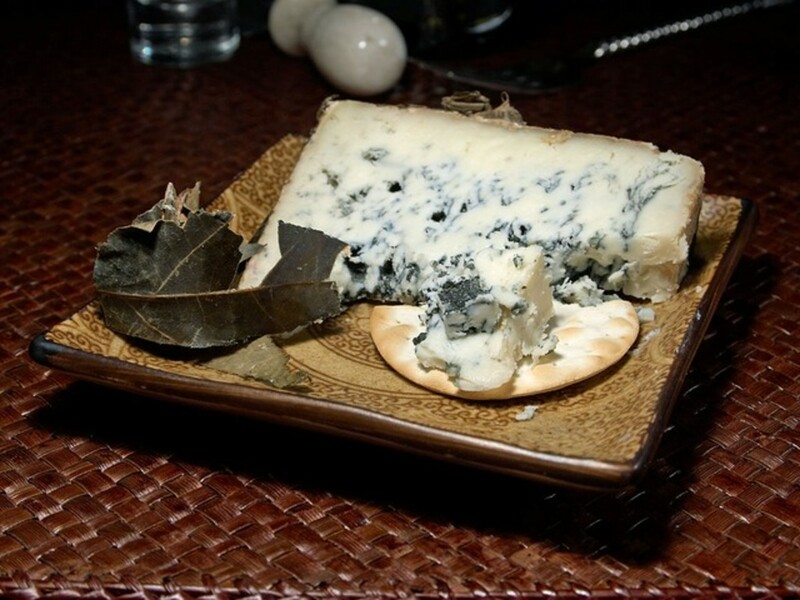 I love that creamy blue cheese and walnut. I am not a fan of coleslaw but there are times when I really like to eat some. Our neighbour makes one that we all enjoy for rib night and she uses only vinegar not mayonnaise. I like the mayonnaise recipe you included here as what I remembered was as a child learning from my mother how to make it and it was a lot of work. Now, I can just put all those ingredients in the blender. I'd eat them all, although I was surprised to see uncooked ramen noodles. I didn't know you could eat them uncooked. I must say, I love the look of red cabbage in a coleslaw, it just adds that wow factor. This just shows how versatile the cabbage family is. Bill, Bill, Bill, whatever am I to do about you? You have had MY coleslaw. Yes, I'm looking forward to a bit of weed patrol this afternoon. The weather is perfect and the wildflower garden is starting to put on a show. Linda, I like you. You know I do. But you could put a gun to my head and I wouldn't eat coleslaw. Yuch!!!!! Have a good Sunday. Enjoy the sunshine and perfect temps. 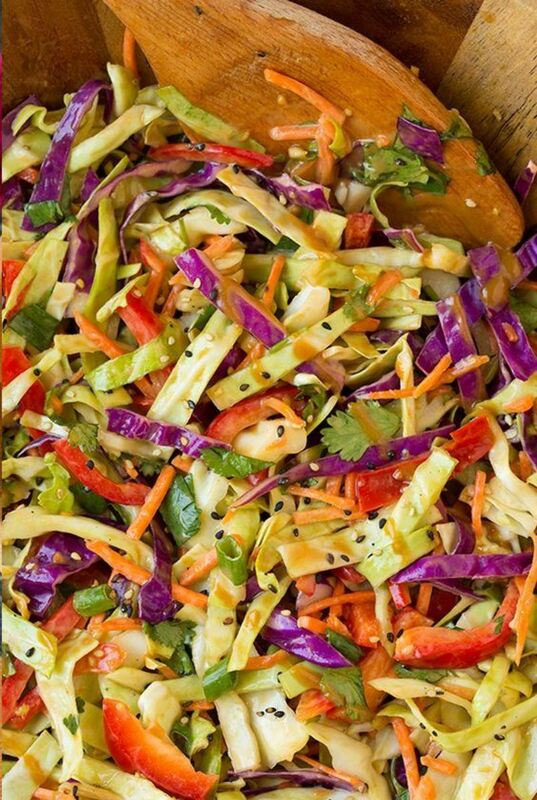 Flourish, I find that, especially when the weather turns warmer (it almost feels like summer, and apologies to my friends in the southern hemisphere), slaw DOES go with everything. It's a side dish, a topping on burgers, dogs, or brauts, and can be a main dish too (as the chicken-apple salad I make for my family). And as you noted the Thai version is wonderful. I have been on a peanut-sauce thing the last year or so. We seem to find a way of coaxing it into our meals at least once a week. Thanks for stopping by. I’m trying an adapted version of the Thai recipe. Feeling adventurous! Coleslaw goes with everything! Eric, I've never thought of putting fresh tomato in coleslaw, but my goodness why not? And yes, cilantro (unless you are one of those tasters who can only detect 'soap' when you eat it) does belong in just about everything. Thank you for stopping by and commenting (you always do). I know that you've not had MY chicken/apple slaw, but suffice it to say that if you were ever to show up at my door I would be more than happy to whip up a batch for you. 11 months ago from Spring Valley, CA. U.S.A. I could not enter in your poll. I really do think I have had all of these. I can remember some of the places and events. My boy and I like coleslaw a lot. 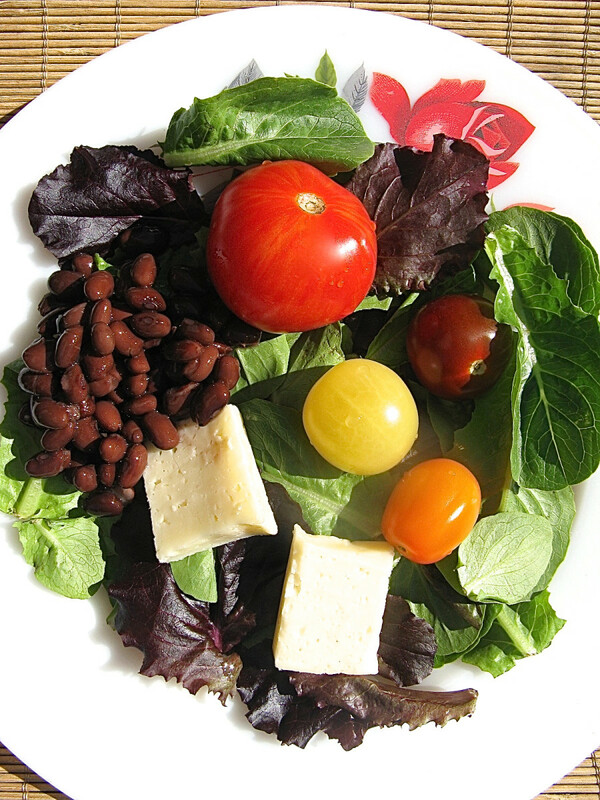 We are pretty straight forward with Balsamic Vinaigrette while adding tomatoes, fresh spinach and sometimes even corn. Doesn't Oregano and Cilantro belong in every dish? Sometimes we do noodles (any of the 4,000 Vietnamese and/or Mexican varieties) -- or Fancy Blue corn tortilla chips. Oops I could go on, but suffice it to say i will be making a few of these.